Can Scientists Figure Out Where Colliding Black Holes Come From? 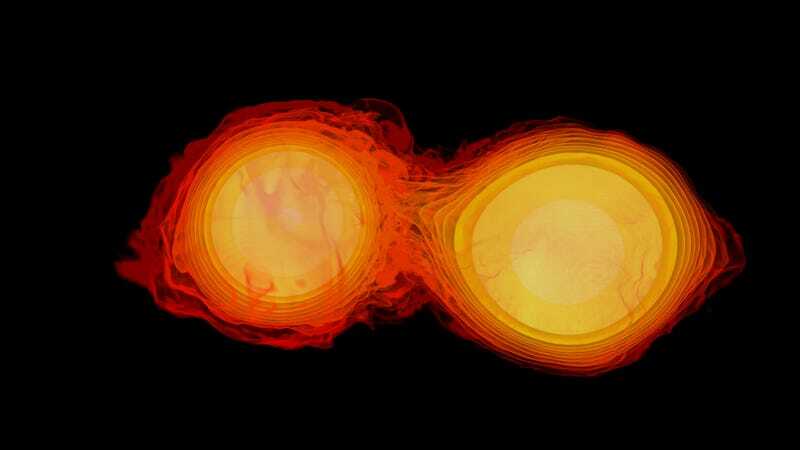 When distant black holes (or neutron stars) collide, there’s a lot scientists can tell from the way they send gravitational waves rippling through space. That includes their masses, their distance, or how their spins line up with one another. But one question they’re still trying to figure out is, well, where are they? There’s more to this story than mere appearances. Decoding the neighborhood around these cataclysmic collisions could shed light on the origin stories of these black holes, and how they came to collide in the first place. Physicists think they’ve got new a way to help tell the full story of these colliding behemoths: by the way they spin into one another. When a pair of black holes many times the mass of our sun come rip-roaring towards each other and collide, they send spacetime ripples throughout the universe in the form of gravitational waves. Scientists measure these waves with large experiments, like the two LIGO detectors that announced their gravitational wave discovery back in 2016. The signal looks like a wave quickly increasing in frequency before disappearing, like the sound of a water droplet falling from a faucet. These signals correspond to a pair of black holes (or neutron stars) spiraling inwards until they collide. But if a third supermassive black hole was nearby, one millions or even billions of times the mass of the Sun, perhaps it would alter the motion and therefore be detectable in the signal, according to Randall’s research published recently on the arXiv preprint server. The presence of some other mass could cause their collision course to take on a more elliptical shape. Correction: This article incorrectly mentioned another work that cites this result. That reference has been reviewed.